Looking for luxury travel or budget travel or a mix of the two. It is important to know your hotel category. A new wave in hospitality is the growing importance of Limited service Hotel brands. There are various ways on the basis of which hotels around the world are divided. While most of the people know about just a couple of such criteria, there is one major criterion that most of the people do not realize. These are the kind of hotels that provide everything you could ask for. Large and spacious rooms, prompt room service, a Jacuzzi and a swimming pool, laundry and ironing service, party halls, well-equipped conference rooms, in-house restaurants and much more forms a part of full-service hotels. The aim of such services to ensure that you do not need to look anywhere else for any kind of your need while you are staying at the hotel. A little lesser in quality than the full-service hotels, these are the kind of hotels that provide a few selected services to the guests. The services provided by these hotels are always less than that a full-service hotel will provide you. For example, a select service hotel may have spacious rooms and a well-maintained kitchen and a restaurant who would deliver the food through room service right into your room but it might have limited options on the menu. It might have showers in all the rooms but no swimming pool in the hotel or no laundry service. The hotels focus on the services that the visitors use more often like airport transfers rather than the services that are rarely used as special areas for pets. One of our other blog posts explains more about the Select Service Hotels. Finally, the limited service hotels provide its guests, the minimum services. These hotels are meant to be budget friendly and thus they limit themselves to the necessities and do not venture into the luxuries. While the services are highly limited and we refer to them as pocket-friendly, the quality of services that are available is in most cases comparable to the above 2 segments. Most of these limited services hotel has limited staff and do not provide room service or free phone calls but the common services like toiletries and spacious rooms are definitely taken care of. A ‘home away from home’ is what describes these hotels the best. They do not have a lavish restaurant but they do give you a kitchen and utensils to prepare your own food. While they do not own a swimming pool, they ensure that they are never located far from a cool place to hang out in the town. They provide no-nonsense budget-friendly rooms with the minimum but important facilities at a fraction of the price. Most of these hotels allow just one night stays and not beyond that. While this is not the case with ever limited service hotel but it is definitely the case for the hotels that have a high customer footfall. The hotels have a few people working. Since they do not run anything big, people required to run the operations of the hotel are highly limited. For example, a single person might be responsible for laundry as well as housekeeping and so on. The rooms are lower in number. To keep the running cost low, these hotels have a few rooms (say 5 to 10). Most of these hotels are family run and the help they employ from outside keeps on changing and hence the consistency of the service might not stay the same. However, the Bigwigs of hospitality industry are changing the game by venturing actively into this segment. Most of them provide you with a kitchen so you can prepare your own food and enjoy it right in your room. The decorations in the room and at the reception are kept to a minimum. This is again to keep the running cost and thus the rent of the room low. Most of the limited service hotels these days provide microwaves, televisions and internet facility to the guests. Although budget, the new upcoming hotels under this category now have started building a small business centre and party halls. They are also now venturing into providing room service and in-house restaurants. Limited services hotels are now evolving and adding a few cheap luxuries to them but if it leads to an increase in the rent of the hotel, the idea of having a budget-friendly hotel in itself gets contradicted. Anyway, here is our listing of top 10 limited service hotel brands from around the world which are the perfect examples of how these kinds of hotels should be. Limited service Hotels aim at getting the best value out of your investment without compromising on the basic necessities. This is what is ingrained in the name of this hotel brand. America’s Best Value Inn is the fastest growing chain of limited service hotel segment. They are now available at more than 1000 locations across North America and boast of more than 50,000 rooms right now. They are known for comfortable rooms, exceptional service quality and more importantly highly pocket friendliness. The nature of accommodations provided by America’s Best Value Inn range from simple rooms to the semi-luxurious suits which suitable for every kind of traveller. Additionally, they also have a strict cleanliness policy and most of their locations surpass the minimum national standards. These guys are a class apart from anyone else mentioned on this top 10 list of limited service hotel chains. The rooms are well built and equipped with everything you will need for a comfortable overnight stay. The beds are always cosy, the locations are marvellous and the interiors are simple yet elegant. A few common facilities provided by all the hotels in the chain include a coffee making machine in the room, morning breakfast, swimming pool and fitness centre. Apart from the budget-friendly rooms, their properties also have suites for guests who prefer luxury over anything else. Coming from a chain of hotels that is known for its luxurious rooms and exotic locations, Homewood Suites is more than just a budget-friendly limited service hotel. One unique thing about these hotels is the fact that they are built keeping environmental sustainability in mind which means that these properties make most of the natural resources like sunlight and air available in the region. Not only this, but sustainability also extends to the practices and operations that power the hotel staff and rooms. Coming to the rooms, they have developed every room in a special way keeping in mind the comfort and budget of the travellers. Every room is treated as a suite and is equipped with an operation kitchen. Latest Tru By Hilton Hotels are also complementing Homewood Suites by adding to these sassy budget friendly limited service hotels. Now, this is a limited service hotel chain with a put of added luxury. These hotel chains overlap the select service hotel category. Another big player, Mariott jumped into the limited service hotel segment with its own brand that goes by the name of Fairfield Inn. The rooms are deliciously built with all the amenities you need to work, eat and live ‘well’. 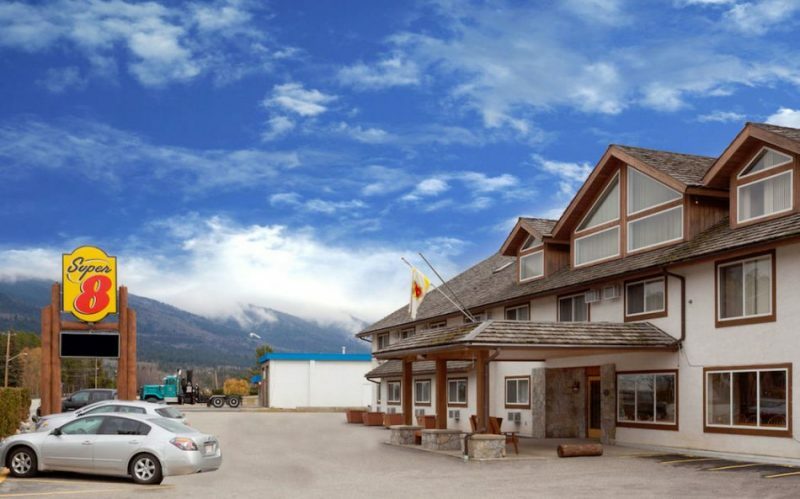 A few common facilities include free high-speed internet, ergonomically designed table and chair, a small business centre, complimentary newspaper, a reading lobby, free hot breakfast and coffee, refrigerator, microwave and comfortable beds. Most of the properties of Fairfield Inn also boast of a well-maintained swimming pool and a fully equipped gym. Rated as the best budget hotel in 2015, Red Roof Inn continues to offer the same luxury and comfort to its guest which it offered before it received the award. Located at over 400 locations, Red Roof Inn is another chain of budget hotels that is growing rapidly. The rooms are clean, comfortable and cosy. They are equipped with all the amenities you will ever need. Amazingly, Red Roof Inn also welcomes our four-legged friends without any extra charge. The hotels are designed in a way that it is not only comfortable for humans; it is equally great for the pets as well. The staff is friendly and is always willing to help you out. This limited service hotel chain knows how to woo business travellers. All of its marketing is aimed at targeting people on small business tours who travel a day before the meeting. The guests are looking for a nice, cosy and comfortable place with a silent room and decent workplace where they can prepare for their presentation the next day and have a wonderful sleep before the meeting day. They provide free coffee and breakfast which includes everything from eggs to meats along with waffles. Started in 1962, Motel 6 has now become a household name in America. It gets its 6 from the rent that it used to charge in its initial days which happened to be exactly USD 6.00! The hotel has now come a long way from there and has now expanded by several folds. They promise the lowest fare in the category and astonishingly never fail to fulfil it. Apart from the excellent beddings and well-lit rooms, Motel 6 is pet-friendly and treats them with the utmost care. Budget Host is a limited service hotel chain that has 150 inns and 7000 guest rooms. All the properties of the Budget Host are inspected carefully by the professional examiners for the cleanliness of the rooms and overall cleanliness of the hotel, maintenance of public areas, appearance of the property and staff efficiency. This inspection ensures that the Budget Host can provide the best services within your budget. Funded by another fully fledged full-service hotel, Summerfield Suites is a next-generation limited service hotel. In fact, Summerfield Suites were renamed to Hyatt House after Hyatt acquired all the rights to the 21 properties from Blackstone Group in 2006. After the acquisition, Global Hyatt came up with its own plan of the 2 and 3 bedroom suites and renovated the places as per the latest plan. A few out of the box services provided by Hyatt House are movie rentals, outdoor BBQ, 24 hours convenience store, dry cleaning and recreational centres. An Indian hotel chain which has had a humble beginning is growing rapidly in the limited service segment of hotels. Started in the early 90s, this company has grown by several folds in a market that was filled with competition. Although the chain is still small and has a mere 8 hotels under its belt one look at their properties and you know that your stay is going to be great. All of the hotels by Country Inn have exceptionally well-maintained rooms and amazingly courteous staff. They are spread in 8 different cities of India which are big tourist attractions in the country. A lot of other properties are being planned in other tourist spots in the country. These hotels have grown from one night motels into excellent limited services hotels with business centres. The budget hotel chain is expanding to other locations. This limited service hotel chain is not the same as Country Inn and Suites by Carlson which have mid-scale to luxury hotels in their kitty. They even started open-air conferencing which is now growing into a rage. Another budget hotel chain by the Wyndham group, Super 8 is spread across the world. These hotels have the same story with 8 as that of Motel 6 with 6. The initial rent of the Super 8 was 8.88 USD. The chain started its operations in 1974 and began its expansion through franchising in 1976. Super 8 had an amazing VIP program for its guests which grew to more than 7 million members. The program was later acquired by a bigger group and with the acquisition of Super 8 by Wyndham; the VIP program was renamed to Trip Rewards only to be renamed again to Wyndham Rewards in 2008. Owned by WoodSpring Hotels, Value Place is one of the cleanest, simple, elegant and beautiful hotel chains that you can rely upon when you are on a budget. They allow longer stays and have discounts for guests who plan to stay for weeks or months. The suites by Value Place have an attached kitchen and the amenities which are not included along with your suite can be used at a minimal price. You can find a limited service hotel through this list wherever in the world you plan to travel. So, if you are looking for Cheapest Hotel rates try one of these places. Right before you book a hotel, it is important to learn about all the amenities that the hotel provides. If it is a full-service hotel, you can practically stop worrying about everything but in case it is a limited service hotel, you should probably look for the features of the property before renting it. In this post, we presented the various categories of hotels from Full Service to Limited service. 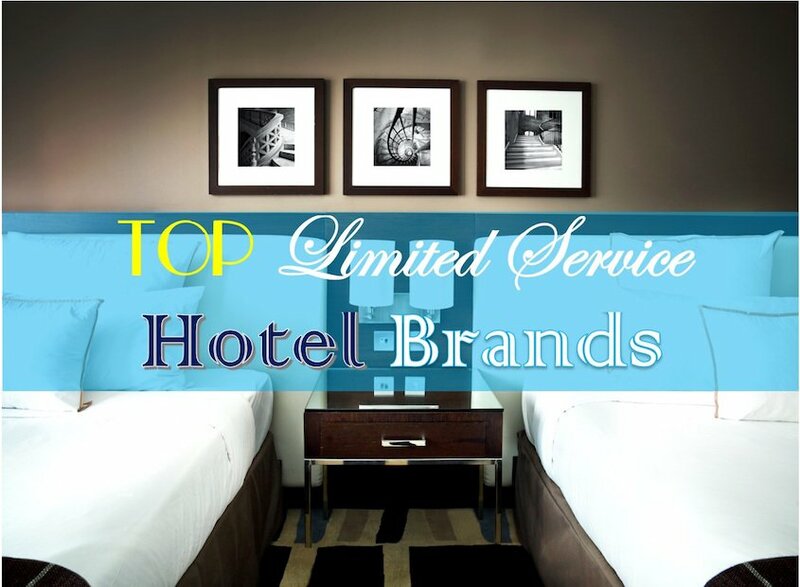 We also made an effort to explain all about limited service hotels while listing a few of the topmost limited service budget hotel brands. Hope you found the list interesting yet comprehensive. This segment is increasingly becoming the choice of millennials and business travellers alike. So, if you book a limited service hotel for your next holiday, you are with the tide.